This software has been discontinued by Audio Damage. 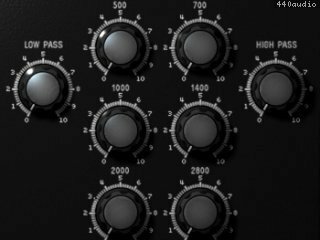 The Audio Damage 907A Fixed Filter Bank plug-in is a faithful recreation of the Moog Modular Synthesizer's 907A module. 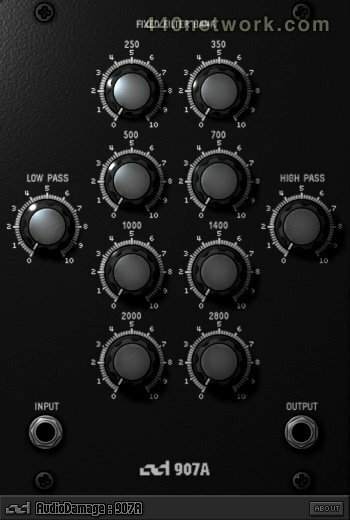 This plug-in creates a variety of tonal effects by passing its input signal through eight band-pass filters, one low-pass filter and one high-pass filter. The 907A is a subtle effect, capable of adding rich luster to pads, and giving percussive and lead synth sounds a vocal quality. It is an excellent tool for the sound designer's palette, simple to use yet capable of complex and unique timbres.